American winged orbital launch vehicle. The AACB Class III launch vehicle was an advanced concept use air-breathing stages, but still requiring two stages to achieve orbit. 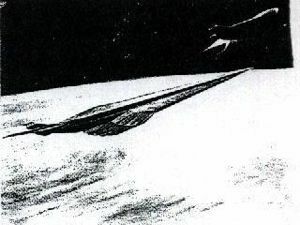 The joint NASA/USAF panel concluded that the technology did not yet exist to develop this concept, so it was only regarded as an option by 1982 at the earliest. Status: Study 1966. Payload: 15,876 kg (35,000 lb). Gross mass: 306,175 kg (675,000 lb). The vehicle would have a gross mass of 450,000 kg and a payload to orbit of 16,000 kg. Stage 1 would be powered by a turbofan-ramjet and have a takeoff mass of 306,000 kg; stage 2 would be powered by a scramjet and rocket and have an mass of 132,000 kg. The evaluation used a design investigated by Lockheed in 1965-66. LEO Payload: 15,876 kg (35,000 lb). Family: orbital launch vehicle, Winged. Country: USA. Agency: Lockheed. Bibliography: 44.